High school student, Noshiro, is the outgoing type determined to get along with everyone. When he notices his classmate, Sanada, all by himself, Noshiro immediately tries to fix that; much to the stoic Sanada's dismay. But rumors of Sanada being gay have Noshiro's classmates telling him to stay away from Sanada. 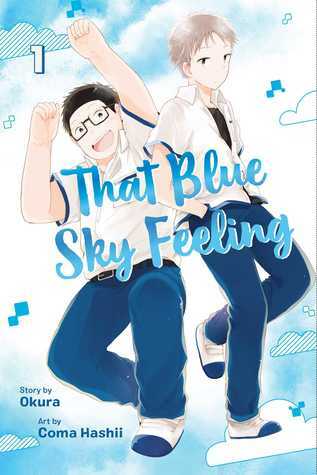 Undaunted, Noshiro makes it his mission to befriend Sanada, get their classmates to come around, understand his sexual preference, and possibly learn a little more about himself. This manga is too damn cute. Despite the fact if you've read any manga ever you can see what's coming in the plot a mile away, Noshiro is so lovable and Sanada is so relatable, it's not so bad traveling down this road again and I can't wait for more. 4 out of 5.